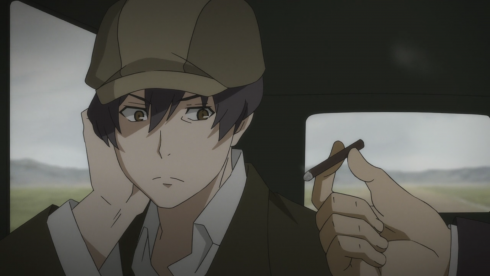 Happy to prove that it can keep balancing tangled gangster intrigue with character-focused drama, 91 Days returns us to Lawless and pours a potful of plot (a plotful?) all over us. Statuses shift, allegiances realign, and just about everyone tries to put one over on somebody else. And you thought your family was complicated. Don Orco and Fango had an inevitable falling out, and the Orcos can’t pursue the perfect lasagna while fighting two turf wars, so they want a truce with the Vanettis. Nero is invited home, but his buddy Barbero smells a trap and warns him to keep an eye on Ronaldo (the Gallasias kid who married Fio, Nero’s sister). The trap is sprung! Frate (Nero’s little brother) and Ronaldo try to take out Nero. 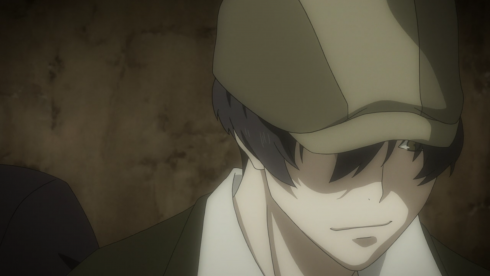 Team Nero (which now includes Angelo and Corteo) escapes, but their inside man Tigre is shot in the process. Turns out killing Nero is part of the terms of the peace treaty. Let him live, and not only does the war with the Orcos continue, but the Galassias pull their support, too. Another condition? Frate’s now in charge of the Vanettis. Dance, puppets, dance! Meanwhile, the rogue Fango is camped out on The Island with a handful of men and his lady-friend, contemplating orgies. He’s more calculating and less volatile this week, but he still kinda bores me. With Tigre’s life hanging in the balance, Angelo ignores Nero’s protests and sneaks away to make a deal with Fango. He offers to give him Don Orco–and essentially control of the Orco family–in exchange for sanctuary on The Island. Amused and ambitious, Fango agrees. 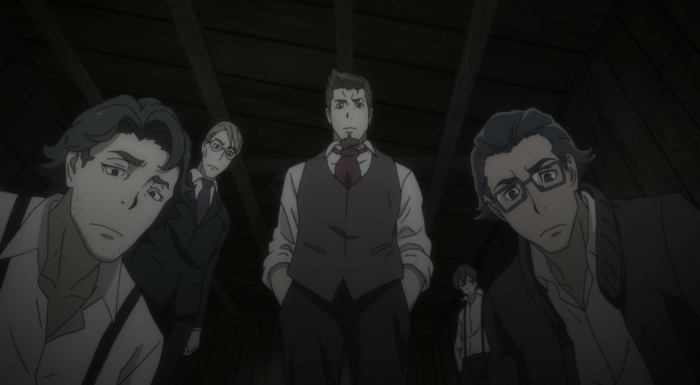 For all that everyone was doing the Alliance Shuffle this week, 91 Days still kept its eyes on its characters, and each new plot point was followed by conversation and reaction as our cast took stock of the situation and considered the best way to move forward. We even spent some time with the men who’re looking more and more like the actual series antagonists (sorry, Fango): Ronaldo and Frate. Ronaldo’s pretty clearly working to build Galassias’s power, but Frate’s a little more complicated. 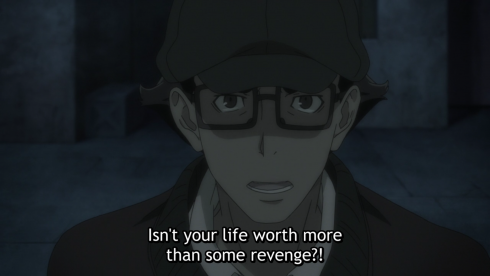 He’s desperate to stay protected and is willing to do whatever the Galassias ask of him to ensure that (all but begging his father to just play nice), but it’s hard to tell how much of this is cowardice and how much of it is raw ambition. 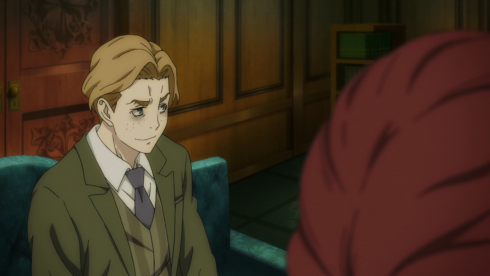 Based on his smirk when Ronaldo turns the family over to him, I’d say it’s a little of both…but those dark bags under his eyes and the liquor he’s slamming make me wonder just how “okay” he really is about murdering his big brother. A part of me even wonders if Ronaldo is using his new bride Fio as a bargaining chip, or even a hostage. At any rate, keep an eye on these two. I have a feeling they might not be as buddy-buddy as they first appear. 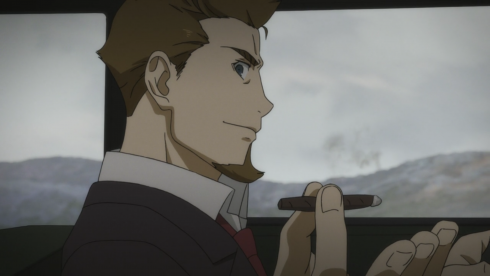 On the other side of the story, Angelo lies to himself about his attachment to Nero, insisting it’s all part of the plan (despite those unguarded smiles of his); Corteo tries to look after his friend while also really just wanting to go home now, please; and Nero struggles to protect his tiny band of wanted men without “betraying” the dead (he can’t forgive Fango but he can’t let Tigre die, either). In other words, everyone is torn between competing loyalties and is fighting to reconcile them. 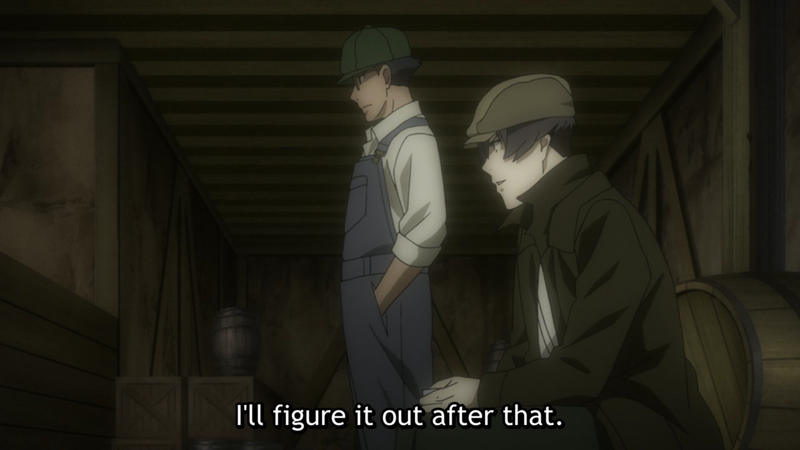 The concept of “good” and “bad” is gonna be murky in any story about criminals (and especially killers), but 91 Days does seem to be drawing an important distinction based on how each character values others. 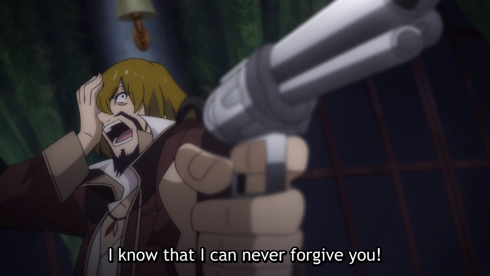 Angelo risks his life in part to save Tigre, Corteo sticks around so he can look after Angelo (and maybe help him find a raison d’etre beyond “revenge”), and Nero ultimately can’t let his friend die, even if it means making a deal with a sworn enemy. These are our “heroes” because they possess compassion and loyalty, however flawed or downright callous they might be otherwise. Compare to Fango, who didn’t hesitate to shoot his lady-friend when Angelo attacked him in Episode 2, and who shrugs his shoulders and moves on from Serpente’s murder, more interested in what Team Nero can do for him right now than what they might have done to his allies in the past. 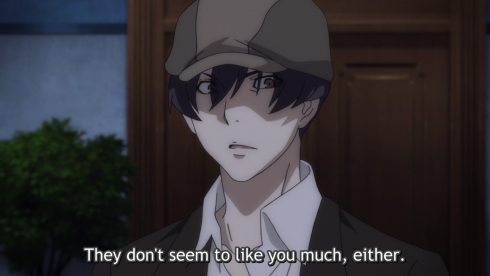 In many ways, his disinterest in others makes him more reasonable than our protagonists, who’re driven almost entirely by a desire to protect (or, failing that, avenge), but it also makes him more unpredictable and capable of far more brutality, too. Fango will always do whatever is in Fango’s best interest, and while he does possess a kind of animal cunning, he doesn’t seem to plan ahead any better than Angelo does. One wrong move and this uneasy partnership ends in more blood than just Tigre’s. While I doubt Fango is our end-game antagonist (his own people don’t even want to work for him, after all), I suspect he’s a mad dog our protagonists will have to put down sooner rather than later. I’m in the middle of moving and didn’t have a chance to edit this before posting, so sorry if it’s a mess of typos and weird sentence structure. I promise to clean it up later this week once I’m settled in. 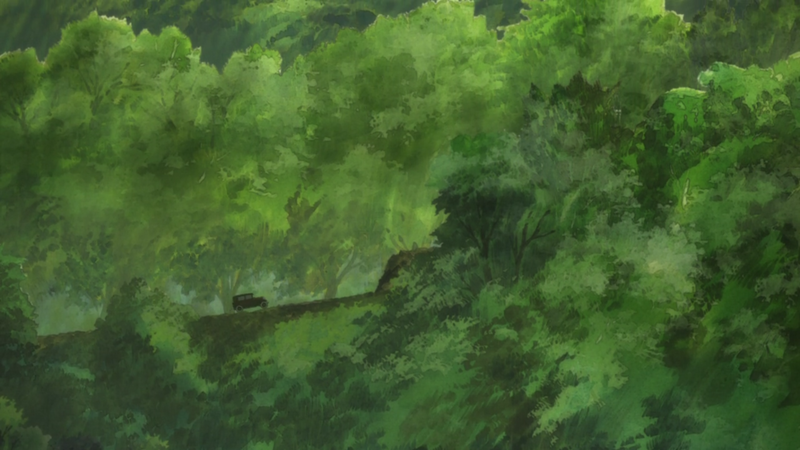 This episode was pretty rough visually at times (lotta off-model character moments and a few times where we focused on unmoving frames for a bit too long), but the backgrounds are still gorgeous and the story is still riveting, so I ain’t complaining too much. 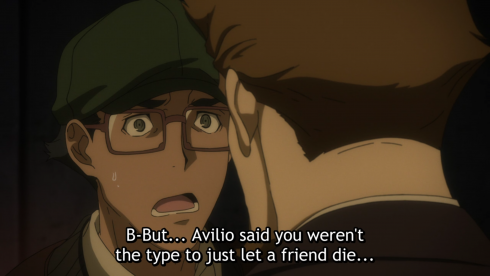 When Nero unhesitatingly said he trusted “Avilio,” it gave me sooo many conflicting feelings. Is there a word for finding something both adorable and so full of dramatic irony it’s physically painful? I bet the Germans have one. It’s Not a Trick, It’s an Allusion! 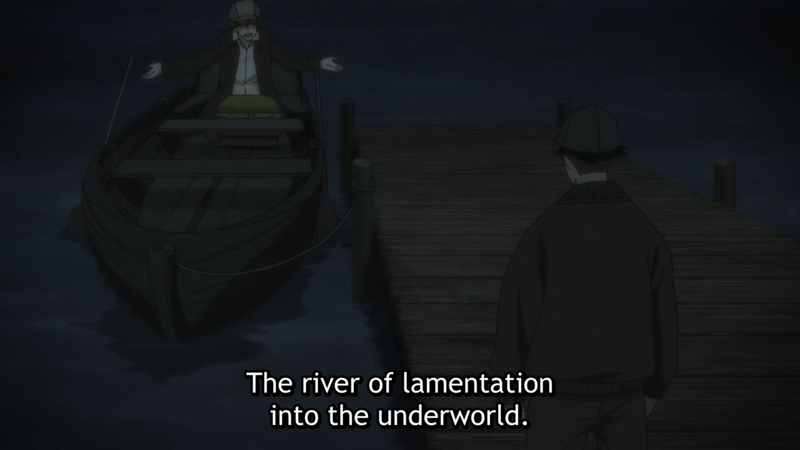 Both Angelo and Nero talk about crossing the “river of lamentation” to meet Fango. They’re talking about Cocytus or Kokytos, a river first found in Greek mythology that you had to cross in order to get to the underworld. It held the souls of the dead (specifically “the homicides,” according to Plato) who hadn’t had a proper burial and so had to haunt the river for 100 years (per the Aeneid). Cocytus is also found in The Divine Comedy as the 9th circle of The Underworld, where traitors are sent to be punished. 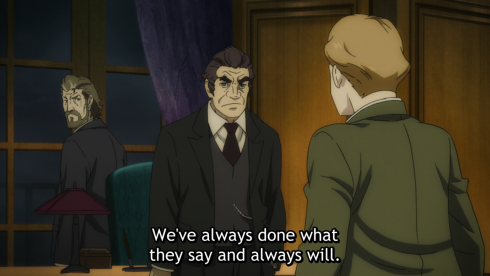 Given that Angelo is working against Nero’s orders and Nero is ultimately turning against both his family and the men Fango killed, it’s no wonder they both think of it that way. Corteo is reading T.S. Eliot’s 1922 modernist poem, The Waste Land. If you never studied this one in an English class, the short version is that it’s based loosely on The Fisher King and is about slow decay and death. (“I will show you fear in a handful of dust,” etc.) 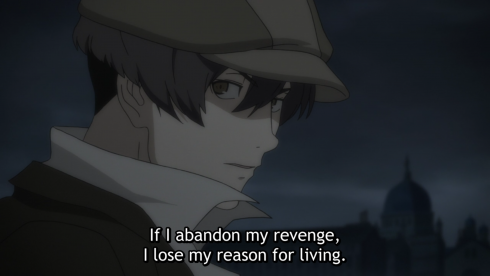 I’m hesitant to start drawing too many parallels between the poem and 91 Days just yet, but its overarching themes about dying family lines, falling kingdoms, and judgment probably aren’t an accident.